Need more space for your crew to spread out? 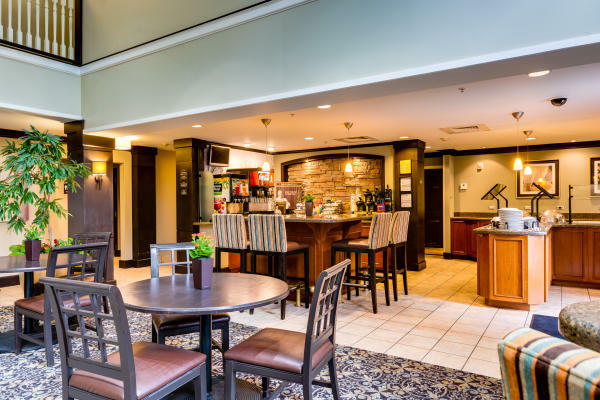 The Staybridge Suites is - you guessed it - an all-suite hotel with options for studio, one bedroom, and two bedroom living, all with full kitchens, free WiFi and daily breakfast, guest laundry on-site, and complimentary shuttle service within a three-mile radius. Best yet? It&apos;s within walking distance of Perimeter Mall and Perimeter Place, where you can continue to walk off that extra chocolate croissant while you hunt for the perfect designer handbag to carry all your new Dunwoody memories. 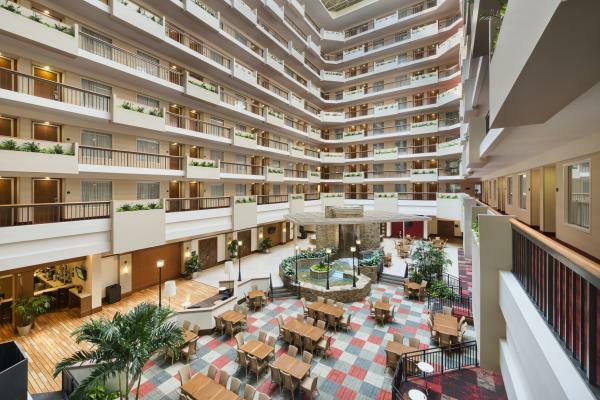 Embassy Suites Atlanta/Perimeter Center, while closing soon for renovations, is an ideal space for hosting family reunions, so when it comes time to get the whole (and we mean whole) gang together, give the fine folks at Embassy a ring and they&apos;ll make sure there&apos;s room for everyone to reconnect. 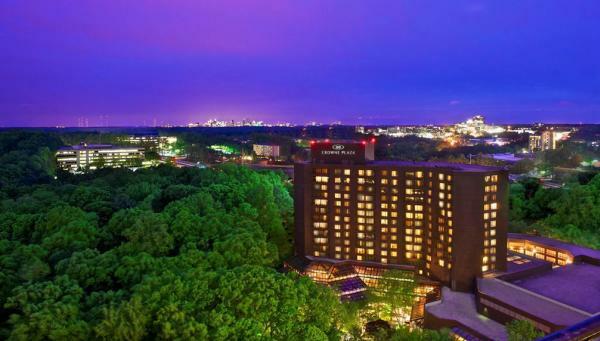 Wow your team with reservations at the Crowne Plaza Atlanta Perimeter At Ravinia, tucked into the naturally wooded 45-acre "Ravinia Complex." 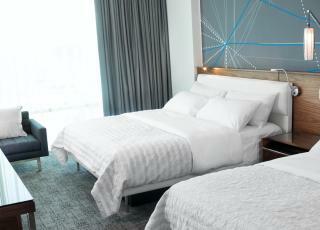 The Plaza offers nearly 500 guest rooms and over 30,000 square feet dedicated to meeting space. 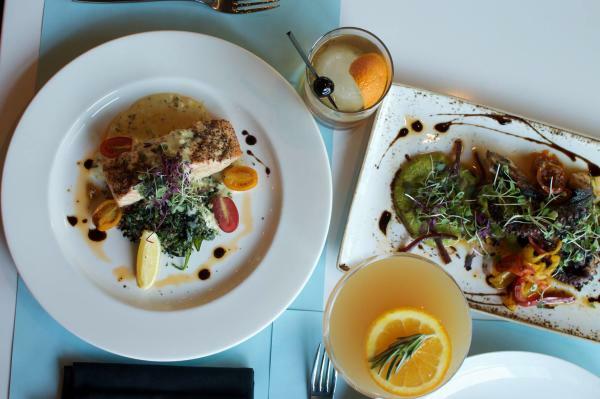 An executive club level, health club, fine and casual dining, a complimentary business center and complimentary shuttle service to popular Atlanta nightspots and restaurants round out this special experience you can find only in Dunwoody. Not the outdoorsy type? That&apos;s OK! 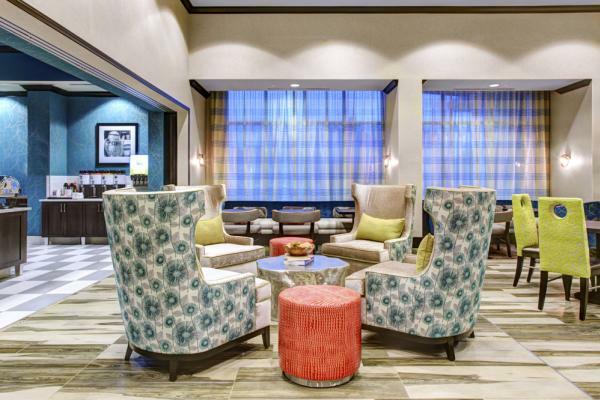 The newly opened Residence Inn Perimeter Center has quickly become a top destination for business travelers in the Atlanta-area. 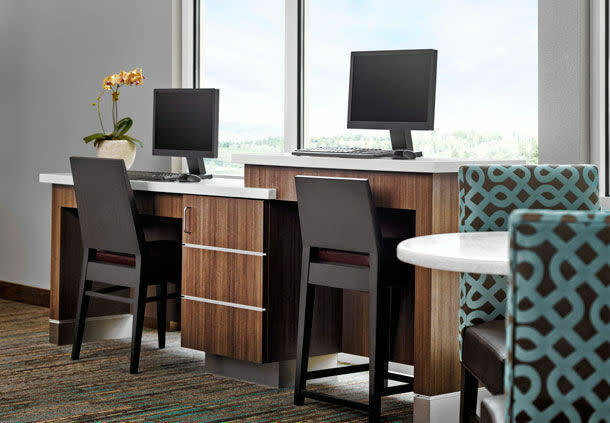 With designated meeting rooms for up to 45 attendees, ergonomic in-room workstations, and complimentary breakfast buffet, the Residence Inn is the perfect place to arrange a meeting of the minds. Bonus: the Residence is a pet-friendly hotel, so skip the kennel and bring Bingo along to help you land your next big deal. If you&apos;re staying in Dunwoody sans kids, you&apos;d be hard pressed to do better than Le Meridien Atlanta Perimeter or Atlanta Marriott Perimeter Center. A stay at Le Meridien puts you right in the mix of live jazz nights in their spacious lobby, elegant Sunday brunches, and an outdoor patio that will make you forget that you never left the hotel. The newly renovated Marriott is the premier spot for lavish business travelers looking to make the most of their entire stay. Stay buttoned up during the day with 18,000 square feet of meeting space boasting everything from floor-to-ceiling windows, expansive 18-foot ceilings, and an outdoor pavilion. Then button down after hours at their outdoor terrace with more than 1,500 square feet of al fresco dining with lounge chairs, an accent fireplace and a swim-through indoor/outdoor pool. Both hotels offer luxurious accommodations, high-end dining and drinks, and white glove service. A few nights in either will recharge the batteries and get you back into workweek fighting shape. Ah, MARTA. Our favorite Von Trapp child and the best way to get around Atlanta. MARTA makes our lives easier, our air cleaner, and our monthly ride-share tab a little lighter. MARTA departs Dunwoody station every 10-15 minutes on weekdays and every 20 minutes on weekends. For additional tips on navigating around Dunwoody, please visit our Dunwoody Maps and Transportation page. 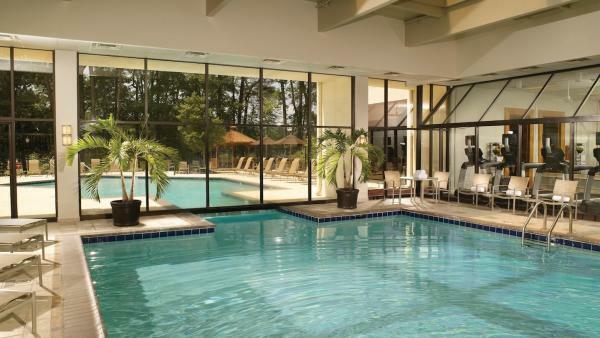 Sure, you could make a perfectly good week or weekend just reclining at any of the above hotels, but Dunwoody&apos;s close proximity to Atlanta makes a compelling case for getting out of the pool/hotel bar/conference room, and into some good mischief. Win over a tough client with a work lunch at the College Football Hall of Fame, or take the kids to the world-famous World of Coca-Cola and let &apos;em go nuts sampling all the unique spins on the globe&apos;s favorite drink. Or, take MARTA from Dunwoody and get into some fishy business over at the Georgia Aquarium. For more ideas on what to do during your Dunwoody stay, browse our blog or request a digital visitor&apos;s guide to Dunwoody.